We visit the recently launched Japan House London to find out more about this unique space, and to speak to its interior designer, Katayama Masamichi. Launched at the end of June 2018, Japan House has found a new home in the heart of Kensington High Street, London. Joining Los Angeles and Sao Paulo as the only current locations where Japan House has put down roots, the new House in London aims to “nurture a deeper understanding and appreciation of Japan in the international community”. 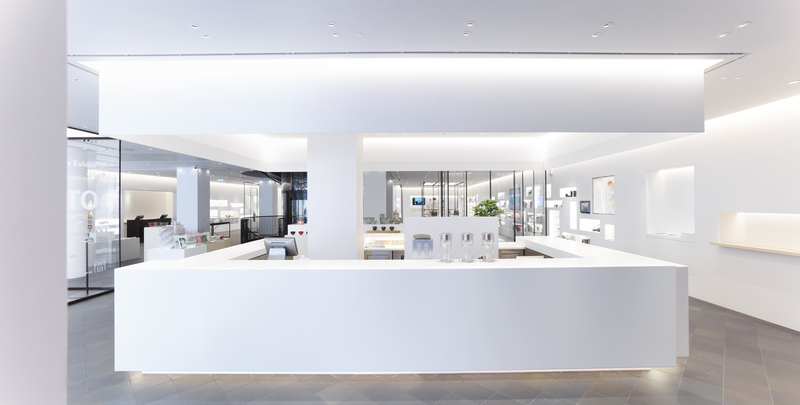 DesignCurial visited this new hub to find out more about Japan House, and spoke to Japan House London’s interior designer, Katayama Masamichi, to find out more about the space. Stepping inside the large, elegant Art Deco building that Japan House London now calls home, guests are greeted by The Stand – a quirky coffee bar for to-go drinks, and a range of authentic Japanese products on display. These products sit at different heights on podiums throughout the ground floor, immersing visitors in the House’s shop. Pieces comes with information on the artist or designer who made it place, and have been placed next to display areas of flower arrangements and a bonsai tree; the showcase is subtle, blurring the lines between what is shop and what is gallery. In fact, on one side of the room, a gallery space does seem to have taken up residence. It tantalises guests with small objects on plinths, which make up Sou Fujimoto’s mini-exhibition Architecture is Everywhere. It is a taster of what is to come – the rest of Fujimoto’s expansive exhibition is downstairs in Japan House London’s dedicated gallery space. 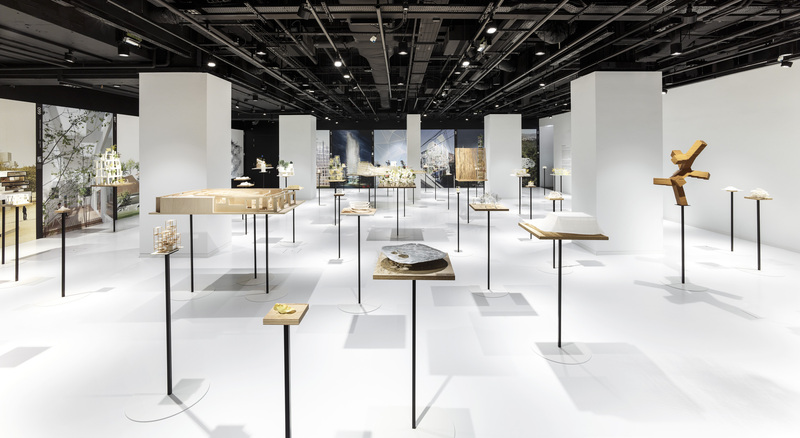 Following on from Architecture is Everywhere upstairs, Futures of the Future is Sou Fujimoto’s first solo exhibition in the UK. It opens the exhibition season at Japan House London, christening the House’s lower ground floor gallery space with a unique look into Fujimoto’s creative process. Also on the lower ground floor are a compact library, and a hall for talks, performances, workshops and other events. 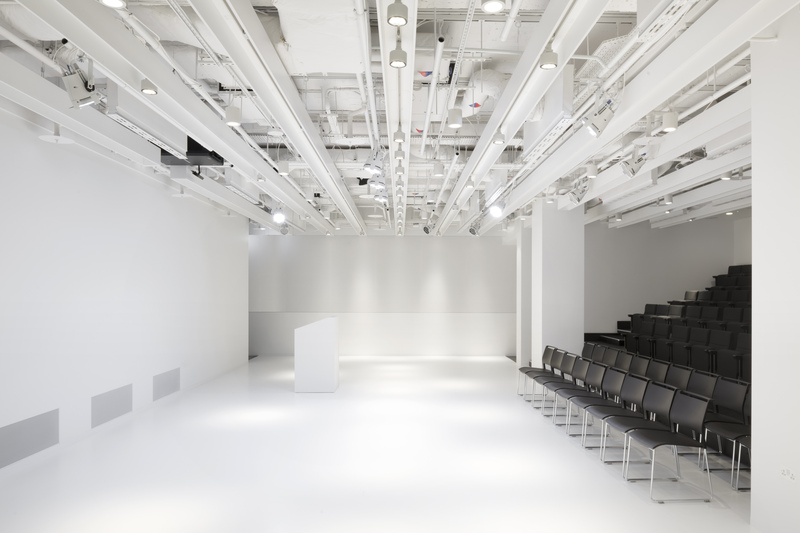 Completely white on the inside, the hall is reminiscent of a blank canvas; when we visit, a series of interviews are playing, projected onto one wall. A magnificent spiral staircase – which was built in Japan, shipped to London and assembled piece by piece – spans the three floors of Japan House London, leading to the restaurant AKIRA on the first floor. Opposite the restaurant, a bar nestles against one wall; a windowless tatami room is hidden to one side of it, offering traditional, Japanese style private dining. 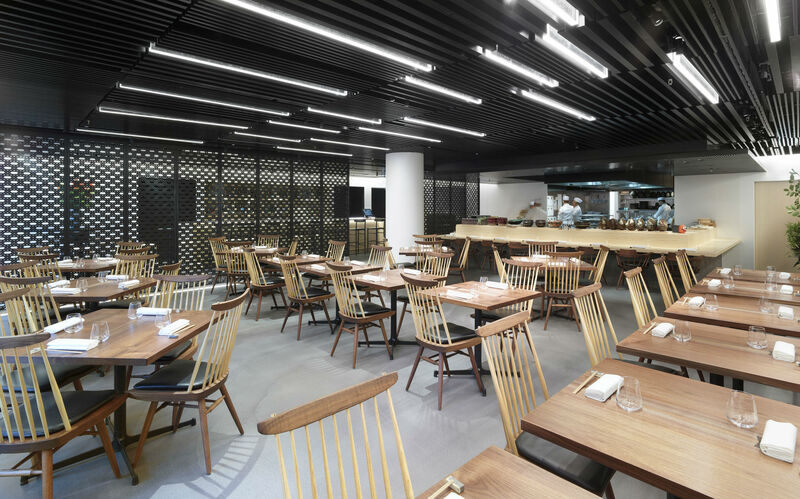 Handcrafted wooden furniture adorns the restaurant itself, which is sectioned from the bar by a black, metal lattice screen. It is here that we sit down with Katayama Masamichi, Japan House London’s interior designer, amongst the bustle of chefs prepping in the open kitchen for their first dinner service. It’s not the first time Katayama has designed an interior in London; the principal of Wonderwall and prominent Japanese interior designer previously designed Uniqlo’s flagship store in Oxford Street. 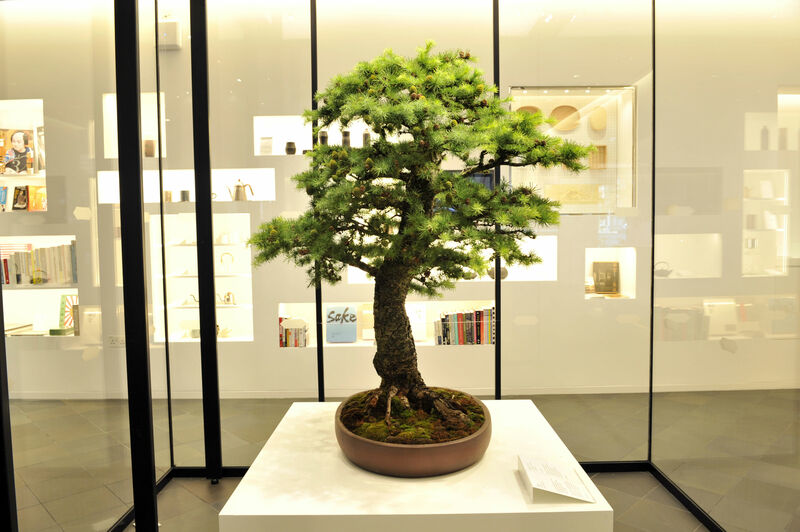 From food to Japanese craftsmanship, an expansive book collection to a range of events and talks, Japan House London has found a way to cater for all kinds of visitors to their new space. What’s more, with such a strong emphasis placed on Japanese design and the country’s authentic culture, this House is sure to educate and enlighten guests from across the globe.